We're sure one of your resolutions this year is to eat healthier! 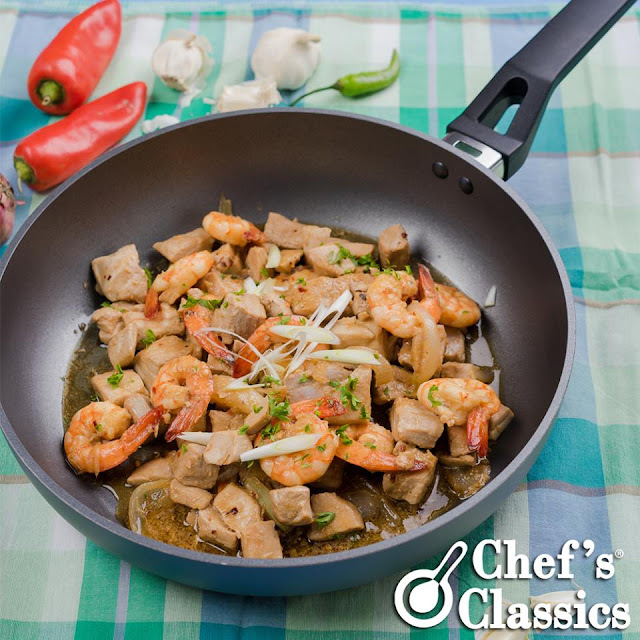 Whether you're lapsing a bit or going head strong with your new diet, here's a Tuna and Prawn Salpicao recipe to help you. Yes, healthy can taste good too! 1. Heat Chef's Classics Safflower Frypan, add in olive oil and garlic. 2. Add in tuna and prawns. Season with salt, pepper and chili flakes. 3. Pour in oyster sauce and worcestershire sauce. 4. Let it simmer for 3 minutes. Don’t overcook tuna and prawns. 5. Sprinkle with parsley before serving.